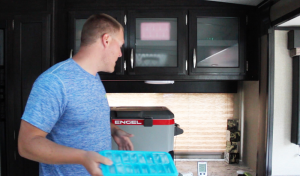 While we were on our first trip in our new travel trailer, we couldn’t help but notice how slow the Dometic Refrigerator/Freezer was to make ice. We knew the Dometic would be much slower at cooling, as it is an ammonia absorption chiller as opposed to a compressor. However, we were not prepared for just how slow it would be. Per the CoolersOnSale way, we decided to test this to find out the differences between an ammonia absorption freezer vs a compressor freezer. How Long Does Dometic Take To Make Ice? Because this test involves two electrically powered coolers and not the normal roto molded cooler comparisons we are accustomed to testing, we had to think of a way for this to be fair yet practical. As originally mentioned, the time it took to make ice was rapidly becoming annoying. When you show up to a camp site, dock your sailboat, park your overlanding vehicle etc, the first thing many (like us) want is an ice cold cocktail or drink. 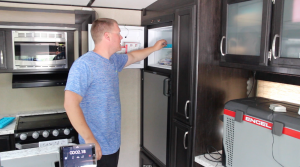 Like us, many shut off their RV fridge while traveling for safety reasons. When not plugged into power, the Dometic will run off of propane, which is awesome, yet dangerous because a flame is burning in rig while bumping down the road. Aside from a safety concern, if the ice isn’t already frozen then the water will splash around while driving, sailing, etc. This would be a two part test. First we wanted to test how long each freezer would take to turn water into ice. Secondly, we wanted to test the recovery time of both units. The recovery time is how long it will take the freezer to get back to the initial temperature prior to opening the cooler for 1 minute and placing an ice tray in. Time: How Long Does It Take To Freeze? 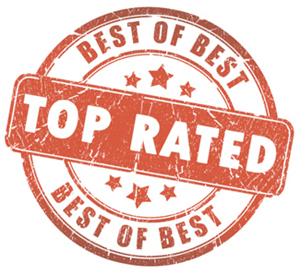 From the numerous cooler tests and reviews we have conducted, we have determined that the frequency of opening a cooler is one of the biggest detriments to prolonged ice retention times. The same can be said for electric coolers & freezer. After a trip to Walmart, it can take several minutes to organize our groceries into the limited space of the Dometic. 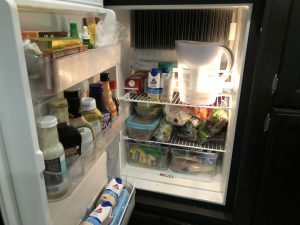 In that timespan, the fridge can heat up 20-30° and take 5+ hours to bring the temperature back down to pre-opening temps. In this experiment the freezer was 16° prior to opening. After opening for exactly one minute, with the thermometer resting on the door, the freezer crept up to 54° (an increase of about 40°). It then took over 3 hours for the cooler to come back below freezing temps. On the other hand, the compressor chiller (Engel) experienced an increase of 10° with the lid open for one minute. The recovery time was about half that of the Dometic. The Engel leveled off around -1.4° for 3.5 hours at which point the water had become ice. Therefore, the Engel compressor chiller was 50% faster at recovering and almost 3.5 times FASTER at making ice compared to an ammonia absorption chiller. As with coolers, there is more to this test than simply lowering temperatures the fastest. Although the Dometic was slower than a compressor unit, it offers the ability to run on propane. This is essential for many travelers when generators or shore power are not available. Additionally, the Dometic offers a much larger storage capacity compared to almost all portable ice chests. It is also worth noting that table top ice machines are also much faster than both of the units tested above. However, a table top ice machine is just one more device in a usually tight area. Deciding which unit is the best value is a tough decision. Although both are meant for similar applications, the reality is the Dometic usually comes pre-installed in most travel trailers, RVs, and even sail boats. For those designing their own rigs, the Engel is certainly one of the best bangs for the bucks. Even though it is more expensive than many thermoelectric coolers, the Engel is significantly more rugged and capable of reaching much lower temperatures.